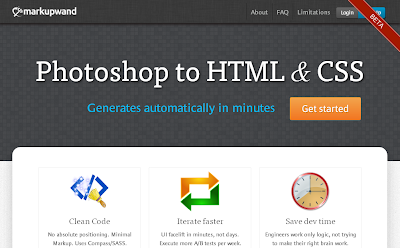 Are you one of those who spend hours and hundreds on converting your Photoshop designs to HTML/CSS. 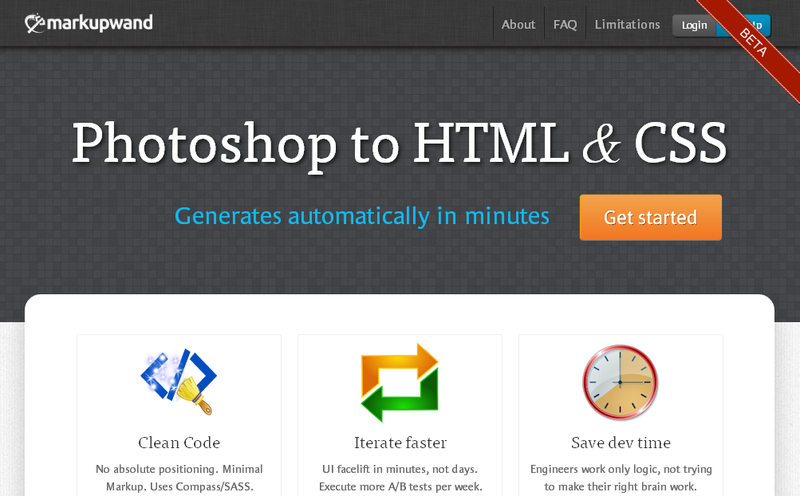 Y Combinator backed Markupwand allows you to automatically convert your psd files to HTML/CSS. Founded by Raj Natarajan, Alagu Muthuraman, and Suren Mahendran, Markupwand seems to be a very useful tool which can replace the methods which developers presently adopt for this task. The strong positive reviews Markupwand is seeing is due to its power of rendering usable code that is close to how developers code. It’s faster code execution and minimal markup makes this product special. Presently, there are other similar products and software like Adobe Dreamweaver, but they have proved inefficient in many ways. Taking care of this, Markupwand emphasizes on generating hand-written like code. In a very short Beta period, Markupwand has geared up high. Presently the team is working on improving the product. But it seems sure that Markupwand is surely going to be a boon to thousands of developers, and worth spending on by companies and developers. The interface of the tool is very simple to start with.